Join the Young SIS-E Initiative! In the Surgical Infection Society Europe we are looking for young surgeons, trainees, PhD students and other young professionals who are willing to collaborate with our Society. Our aim is to develop a Young SIS-E group that can actively participate in the annual congress with their own session, propose ideas and topics, develop collaborative international studies and many more! We aim for the Young SIS-E to be part of the main programme of our annual congress, to suggest topics and organise educational sessions on surgical infections. We want our younger members to speak up about their educational needs and give them the opportunity to decide on topics of their interest. Our Educational Committee has been organizing this case-report contest since 2017, with great success. The aim is to share real-life case reports on surgical infections with an educational value. All trainees, PhDs, students and young surgeons are invited to submit a case report on infection they found interesting, or that helped them learn about some important aspect of SSI, source control, antibiotic management, etc. The 6 best cases will be selected for presentation in an educational pre-congress workshop. The 3 best cases will get a prize! The best case will be offered free publication in our journal Surgical Infections. The workshop will be open to all to attend, share & learn! Stay tuned for updates and more information in our web. As an international Society, SIS-E wants to promote quality research and collaboration between young surgeons from different countries. By designing and participating in a collaborative study, young members can network, learn research skills and be co-authors of a publication. The first snapshot study will be starting very soon, and the subject will be Diverticulitis. Here, young surgeons, trainees and any others interested in surgical infections can find links to on-line resources, guidelines and interactive educational content, with frequent updates. 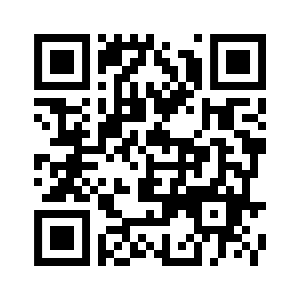 Click the Button to Join Young SIS-E or Use the QR Code to Join!